There is no denying that Justin Bieber and Selena Gomez used to make a very cute couple once upon a time but now that the former is with Hailey Baldwin, looks like he is still not over Selena. Details inside. They may not be together any longer, but Justin Bieber still cares for his ex, Selena Gomez. Earlier this week, Gomez was hospitalized after allegedly suffering an emotional breakdown. The news just broke yesterday, and since then, Justin Bieber appears to be a wreck. Last night, an emotional Bieber was spotted going to church and many thought it was to pray for Gomez to get better. Then earlier today, shared a photograph of Bieber and his wife, Hailey Baldwin, in a car. A visibly upset Bieber holds his head in his hands as he appears to be crying, possibly over Gomez. And a source close to Justin says that even though he and Gomez are no longer romantically involved, he still really cares for her. 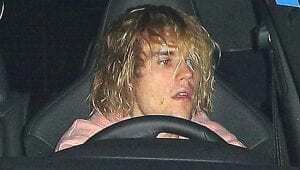 He could be seen crying with wife Hailey Baldwin inside the car. In the video, Justin can be seen having an intense conversation with Hailey and continuously rubbing his eyes. While Justin couldn’t hold back his teats, Hailey looks calm and stone faced. Justin is very worried about Selena and her current health, so much so that he reached out to her mother to check on how she is doing. “Justin contacted Selena’s mother because he wanted to make sure she is okay and possibly see her,” an insider dished. 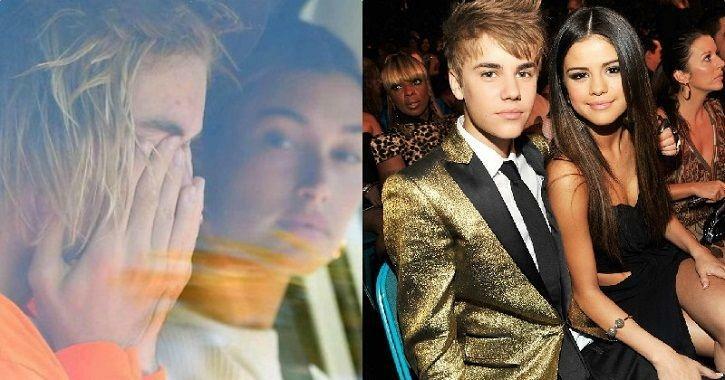 But Gomez’s mother, Mandy Teefy, allegedly blocked Justin from making any contact with her daughter, as she thinks that Justin’s romance with Hailey Baldwin is part of what caused Selena to go off the deep end. Last night, the reported that Selena was hospitalized after two separate trips to the hospital. Selena reportedly freaked out after suffering a low white blood cell count as a result of her kidney surgery. This forced her to be hospitalized not once, but twice. And during her second visit to the hospital, the 26-year-old reportedly had “a meltdown” and “freaked out,” trying to rip several IVs out of her arm and going into a panic when she was told that she wasn’t able to leave the hospital. It has also been reported that Gomez’s drinking and partying may have contributed to her hospitalization as well. “Doctors have all told her she needs to stop. Her family says she needs to stay sober, or she could die,” a source shared. Currently, the singer is seeking treatment at a facility on the east coast, though the exact location is not known. Gomez is currently receiving dialectical behavior therapy, also know as DBT treatment, at the psychiatric facility in hopes that she will get well again soon. On World Mental Health Day, Selena Gomez, one of Hollywood’s most famous celebrities, was taken to the hospital after suffering an ’emotional breakdown’. The 26-year-old has reportedly been having a low white blood cell count due to which she was hospitalised twice in the last two weeks. And during her second visit, she apparently had a mental breakdown at the hospital. According to TMZ, Selena was at her home in Studio City, CA, and noticed that her white blood cells dropped at an alarming rate which is one of the side effects of the kidney transplant. She was immediately taken to Cedars-Sinai Medical Center in Los Angeles where she was treated for a couple of days. “She realised she needed to seek additional help for her ongoing emotional issues. She’s surrounded by close family and has a lot of support. She’s doing better now and is seeking treatment on the East Coast,”. The Bad Liar singer will undergo behavioural therapy in which the doctors will identify from where the negative thinking arises and then change it.